This will sound a little corny, but the Patch is a gift that keeps on giving. I have Leach’s Petrels on my mind if not on the memory cards of my camera. I have spent a few blowy hours hoping to photograph one without success and I was otherwise engaged when the big numbers pushed through last week. I am not at all downcast by this though because I had a cracking Leach’s experience from the cosseted comfort of my sofa. I shall explain how. Most serious birdwatchers will be aware that Leach’s Petrels are small seabirds belonging to the same family as the shearwaters and albatrosses. They could be aware that around 48,000 pairs breed on some of the remotest islands off the coast of northern Britain. Birders will probably know that like many other seabirds they nest in burrows and often return to the same burrow each year with the same mate. The trip away to feeding waters and the return to the islands will be done under the cover of darkness to avoid predation by gulls and Skuas. This is also widely known. It is less likely that they know that Gaelic speakers resident on those islands would call them Gobhlan-mara, and this got me thinking. We can be a little ignorant of the birds we chase. A Leach’s Petrel is just that - a Leach’s Petrel. Black, grey marks on wings, white rump, forked tail, fluttering bat-like flight. ID-ed, ticked off the list (year or life) then on to the next species. Done. After some thought this seems a little short sighted to me. There is probably a plethora of little-known but fascinating facts about Leach’s Petrels (and all other species come to think of it) that we are ignoring in our quest for species for species lists or pictures for portfolios. As the rain falls heavily and steadily on a miserable day I am not going to see one any time soon but I can still interact with the species, albeit in an electronic way, with a little online research started with the simple search term Leach’s Storm Petrel. The virtual journey that I took was captivating and enlightening. This is the whole point of this post. Appreciating the Patch doesn’t have to stop when you get home. There is more to it than birdwatching or photography, we can all climb a learning curve. The name seemed a logical place to start. Why Leach’s? Who was Mr/Mrs/Miss/Ms Leach? This is what I pieced together from various places including Wikipedia…. William Elford Leach was an English zoologist and marine biologist. He was born on 2nd February 1790 at Hoe Gate, Plymouth. Like many early naturalists he was a keen collector and by the age of twelve he was already amassing marine samples from Plymouth Sound and the Devon coast. In 1813, Leach was employed as an assistant librarian in the Zoological Department at the British Museum. During his time there he was made assistant keeper of the natural history department and became an expert on crustaceans and molluscs. Leach also worked and published on insects, arachnids, mammals and birds. In 1817 he was elected a fellow of the Royal Society. 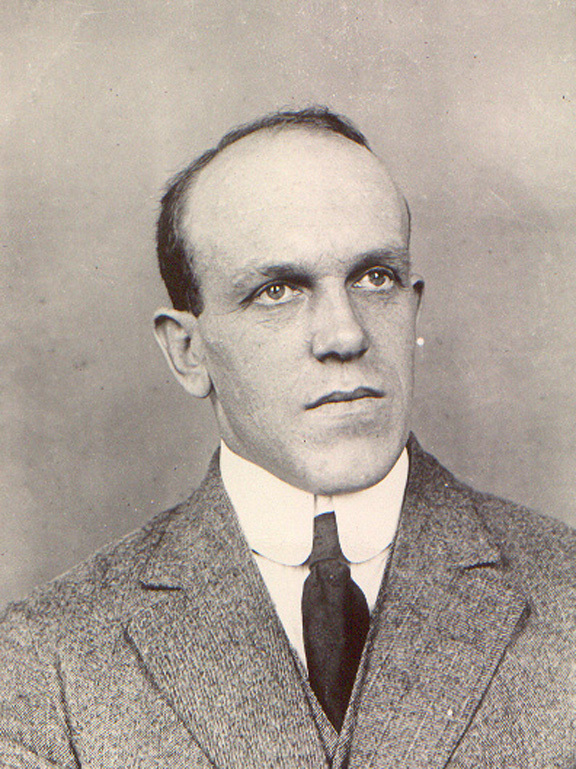 Leach's nomenclature was a little eccentric – he named twenty-seven species after his friend John Cranch, who had collected the species in question on African expeditions and later died on HMS Congo. Subsequently he named nine genera using Caroline or anagrams of that name. Who Caroline was remains a mystery to this day. In 1820 Leach's Storm-petrel was named after him by Coenraad Jacob Temminck, the first director of the National Natural History Museum at Leiden in the Netherlands. He did this without being aware that it had previously been described by the French ornithologist Louis Jean Pierre Vieillot. A specimen of this bird had been purchased by Leach on behalf of the British Museum for £5 15s in a sale in 1819. The Blue-winged Kookaburra, Dacelo leachii, was also named for him. Leach suffered a nervous breakdown due to overwork in 1821 and he resigned from the museum the following year. His elder sister took him to continental Europe to convalesce, and they travelled through France, Italy and Greece. He died of cholera in the Palazzo San Sebastiano, near Tortona, north of Genoa on 25 August 1836. 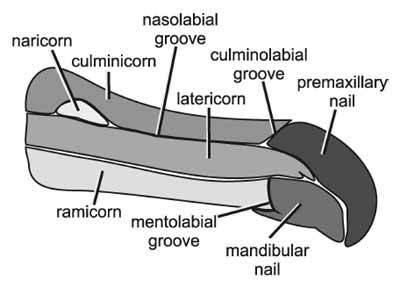 From the B.T.O website I explored the scientific name that too is equally interesting. Oceanodroma leucorhoa is Greek in origin. “Oceano” refers, rather obviously, to oceans and seas and “droma” is derived from “dromos” which refers to race courses and running. Any observer of a Leach’s Petrel will testify that this is quite apt. They will often appear to run along the surface of the water as they look for food, seldom, if ever, alighting on the sea. “Leukos” refers to something as being bright white and “orrhos” if a reference to the rump. Together they make leucorhoa describing the birds white rump patch. Just as absorbing as the bird’s history and nomenclature is its ecology. The Leach’s Petrel is part of a group of seabirds known as tube noses. These birds are pelagic outside of the breeding season and will see no freshwater. The tubes that adorn their bills are not actually noses; they are in fact a complex filtration system removing salt from the seawater allowing the birds to survive in a marine environment. A lot of birders will be aware of this ‘false’ nose/filter tale but how many will know that the birds do have an acute onboard olfactory navigation system? It seems that the birds need to leave and return to land in darkness to avoid predation has seen them evolve an ability to smell their way home. There will be very few visual cues to guide them back to their island/burrow and virtually none if it is cloudy or foggy. Even with great hearing they will be too far to hear a chick underground so it seems they have evolved a way to sniff their way back to base. Having visited several seabird colonies I can well imagine this as they are some of the smelliest places I have ever been. As I delve deeper into the lives of the Leach’s Petrel things take an oddly supernatural turn. 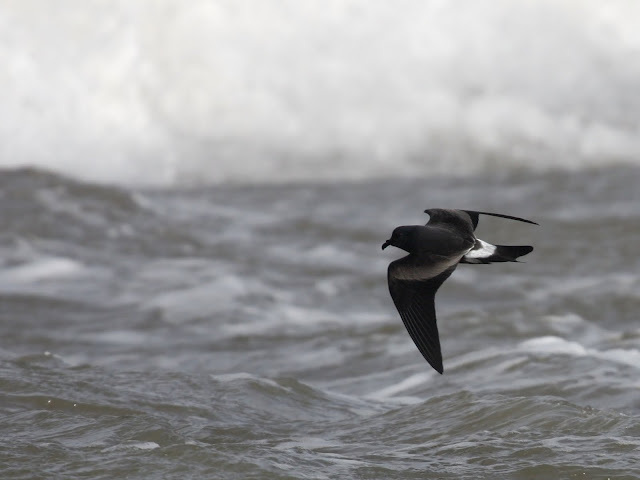 It has been discovered that the Leach’s Petrel has telomeres that lengthen over time. What on earth is a telomere? Buckle up, this is going to be a scientific ride! 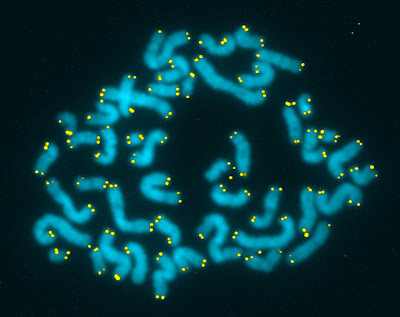 A telomere is a region of repetitive nucleotides at each end of a chromosome and is involved in cell division. If cells divided without telomeres, they would lose the ends of their chromosomes, and the necessary information they contain. The telomeres are disposable buffers blocking the ends of the chromosomes and are consumed during cell division, then replenished by an enzyme, telomerase reverse transcriptase. Over time, due to each cell division, the telomere ends become shorter. Shorter telomeres are thought to be a cause of poorer health and aging. Therefore if Leach’s Petrels have telomeres that lengthen with chronological age it could mean, in theory, that the life span of the Leach’s Petrel is limitless! This information was only discovered by scientists in 2003 and more telomere research is taking place that could lead to human life extension drugs and gene therapy. This was certainly not the kind of information expected when Leach’s Petrel was typed into the search field of Google! I may never need any of this information again, and it may seem useless to many but it feels precious to me now. I’m so glad I have it, the next time I see a Leach’s Petrel I won’t just see a seabird dancing over the wavetops. I’ll see a white rumped ocean runner, a supercharged nose and a 19th century eccentric naturalist. Hi Matt. Thank you that. That was very interesting. I would only note that the photograph is actually of entomologist Adelbert Llewellyn Leathers. I think it is a Belgian website that seems to have introduced this error, which was copied (with reservations) by the Czech Wikipedia page for Leach. I don't think there are any known images of W.E. Leach.